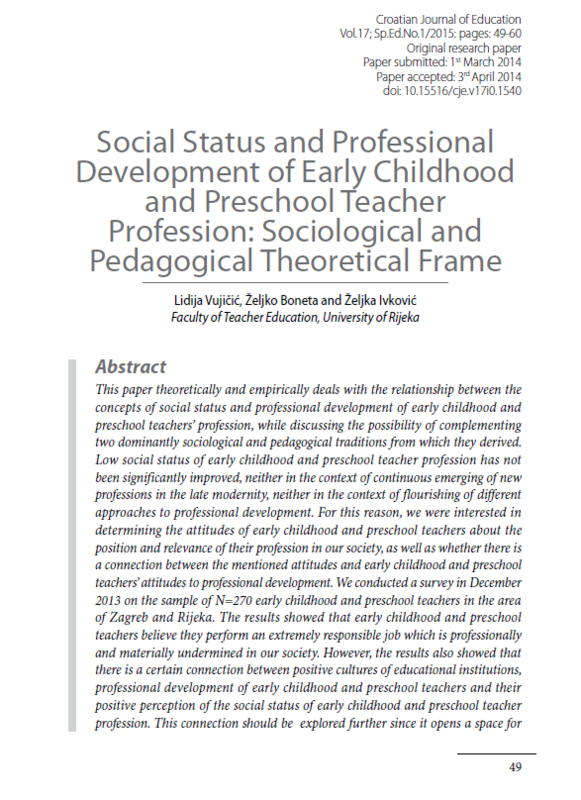 Social Status and Professional Development of Early Childhood and Preschool Teacher Profession: Sociological and Pedagogical Theoretical Frame takes a look at the relationship between the concepts of social status and professional development in the early childhood and preschool teacher workforce,. The paper aims to determine early childhood and preschool teachers attitudes about the position and the relevance of their profession in their society. It further aims to explore whether or not their is a connection between such attitudes and these professionals' attitudes about professional development.